Some of you may have noticed a big blond mop of hair wandering around the Old Town over the last few months. This is Tom, one of our Explorer Unit Assistants; he lost a bet to not cut his hair from Christmas to Easter. 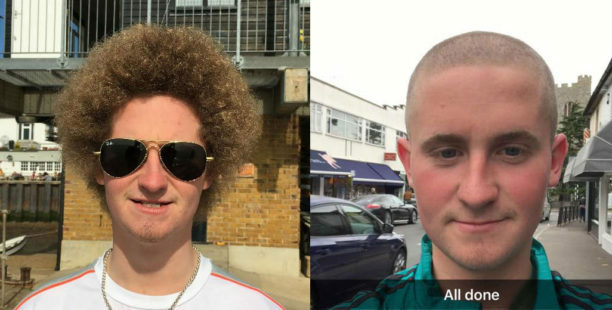 To help raise funds for 3rdCB, he got friends to sponsor him to cut it all off, and over the Easter weekend it all went! Well done Tom for raising over £100 for us! Tom’s hair – before and after!